Biscuits are a staple in the South. For a long time I've had a love-hate relationship with homemade biscuits. 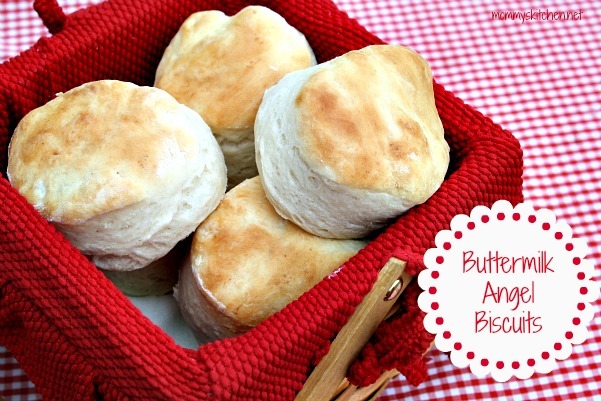 I love big fluffy-cotton like southern biscuits, but hated that I couldn't make them myself. I've always been envious of anyone who could make a great buttermilk biscuit (my mother included). As for me I used Grand's Biscuits just until about four years ago. 2009 was the year when I finally won the battle of producing an edible homemade biscuit. The recipe that transformed me into a rock star was Southern Living's Buttermilk Biscuits. By far it's the best recipe I've found. Since then I have also made Quick Skillet Biscuits with the same great results. About three years ago I got my hands on my first bag of White Lily Flour. White Lily is hard to find and only sold in the south, so since I live in Texas I can only purchase it online. It's been said that White Lily makes the best biscuits, but I had to try it myself. Well, I'm here to tell you that my biscuits went from great to outstanding! White Lily Flour really does make a difference. White Lily flour is popular in the South and represents the soul of ♥ Southern Baking ♥. My grandmother is from Gardendale, Alabama and I can bet that was the only flour she used. 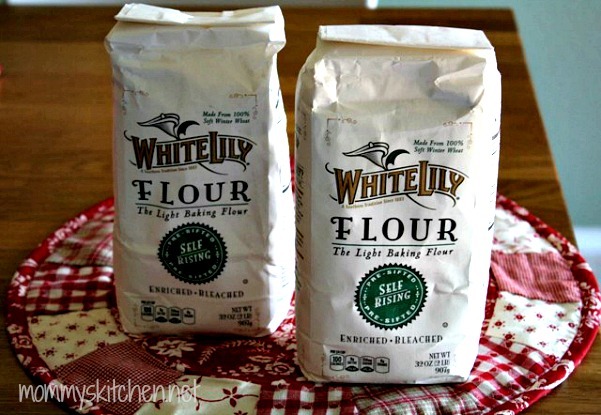 So what's so special about White Lily Flour? White Lily is a fine white "soft flour", made from, 100% soft winter wheat" versus hard winter wheat. It has lower protein content than most flours and the texture of White Lily is silk like. I have to agree that White Lily flour is excellent in making the best light and fluffy biscuits. It's also extremely versatile and can be used for most baking including cakes, cookies, pie crusts, pancakes, brownies, muffins, scones, and more. White Lily Flour can be substituted for other All-Purpose Flours; however, since White Lily Flour is lighter more flour will need to be added. For every 1 cup of flour in a recipe, use 1 cup plus 2 tablespoons of White Lily Flour. Help Celebrate and Savor the Iconic Southern Biscuit. White Lily® flour is encouraging bakers like us to help “Save the Biscuit.” Making homemade biscuits is almost a lost art form, well not in my house LOL. Nowadays, there seems to be a misconception that making biscuits is difficult and time-consuming, but it's not. You can help preserve biscuit-baking for future generations by learning, teaching and sharing your own love for biscuits. That's just what I'm doing today. 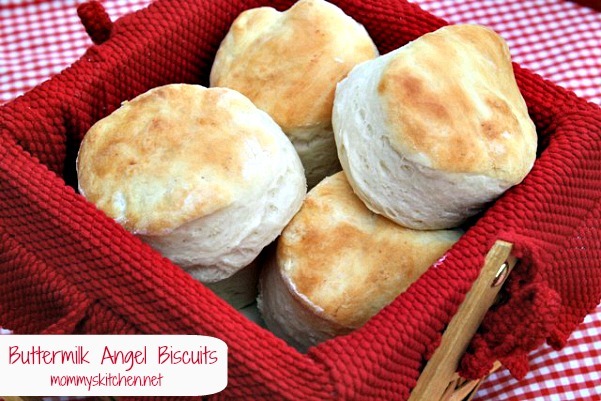 I want to share another favorite biscuit recipe of mine, Buttermilk Angel Biscuits. They're not your standard biscuit, but in my opinion a cross between a yeast roll and a biscuit. For a long time Angel Biscuits were the only edible biscuit I could ever make. If you're not a great biscuit maker or you're just starting out, this is the perfect fool proof recipe. I found this recipe in an old church cookbook about 15 years ago. In a large bowl sift the dry ingredients together. Using a pastry blender or fork cut in the shortening until it resembles coarse cornmeal. In a separate bowl dissolve the yeast in the warm water. Let sit until foamy (about 5 minutes). Stir the yeast mixture and warm buttermilk into the flour mixture, stirring just until moistened. Turn the dough out onto a floured surface and gently knead until the dough is no longer sticky. Roll biscuit dough out to 1/2 inch thick. Cut with a biscuit cutter and place cut biscuits on a lightly greased baking sheet. Cover with a light dish cloth or plastic wrap that's been sprayed with non stick spray. Let rise in a warm place for about 30 minutes. Bake at 400° for about 14 to 20 minutes or until golden brown. Brush biscuits with butter while still warm. Recipes makes 8-12 biscuits, depending on the size. Cooks Note: Recipe can easily be doubled, store remaining dough in a covered bowl, in the refrigerator for up to 7 days. When ready to use remove dough from refrigerator. Roll out desired amount of biscuits and place on a greased baking sheet. Cover with plastic wrap that has been sprayed with non stick spray. Let biscuits rise for 30 minutes then proceed with baking. White Lily is hard to find outside of the South, but it can be ordered online. White Lily is also available at Soap.com (use coupon code 20trysoap) for first time customers. That's where I order mine. You can get (2) 5lb bags of all purpose White Lily Flour for $7.45. If you use the coupon code the price will be $5.96. White Lily is also available on Amazon. Would you like to try White Lily Flour? Well you can, because the generous folks over at White Lily are giving one Mommy's Kitchen reader a chance to win a Biscuit Essential Kit. This kit contains everything you need to bake up your own homemade biscuits. Just leave a comment on this post telling me who inspired or taught you how to bake? For me that's a easy one, my mother! 1. 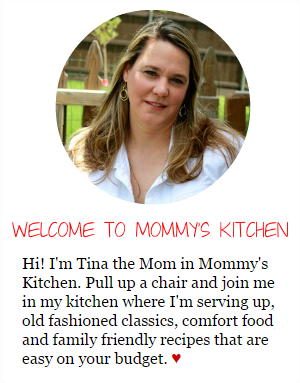 Tweet the following: Enter for your chance to win a White Lily Flour Biscuit Essentials Kit @mommyskitchen http://tinylink.net/85624 . Come back and post your tweet details. 2. Share this giveaway on face book page and come back and leave a comment letting me know. I will pick a random winner using random.org and announce the winner on this blog, face book and twitter. Contest is open to US and Canadian Residents only due to shipping charges. Winner will have 48 hours to reply to winning email or a new winner will be chosen. If you leave an anonymous comment please leave your email address in the event that you're the winner. Last day to enter this giveaway will be Sunday April, 21 st at Midnight CST. Disclosure: White Lily Flour provided me with a "Biscuit Essentials Kit" . They also provided an additional kit to use in a reader giveaway. I would like to thank White Lily Flour for sponsoring this post. For more great recipes visit White Lily.com. I used to spend a lot of time baking with both my mom and my grandmother. It definitely ignited a passion that's still going! I always loved to cook but since getting married, my husband and I have really inspired the other to do more and more cooking in the kitchen! My grandmother inspired me to love to cook. By the time I was really ready to learn she passed away. My Mom taught me how to bake. I remember at Christmas time growing up we would bake all these different treats. I still do these every year. I love finding new recipes and trying them out. For more than 40 years I have used White Lily plan and self-rising flour and will not use any other brand. My mom inspired me to bake - we never lived close to other family, so it was just us. I have four little little children and I was sick of raising them on boxed food. I started cooking everything from scratch last Thanksgiving and have truthfully been self taught (with tips from friends). I love it and have found it to be a stress reliever for me. I am proud to know that what my kids eat I made! First: My grandmother and mother both have been my inspiration in the kitchen! And biscuits!! They could make biscuits to make you weep. A trick that I have yet to master but I am hoping (if I don't win) that Louisiana is South enough to find this flour so I can give it a try along with the recipe you posted. We are looking for a biscuit recipe that is really good and this sounds like the one. We have been tweaking recipes, but haven't come up with that go to recipe. Not sure we can find White Lily flour in these parts. Your biscuits are perfect looking!! 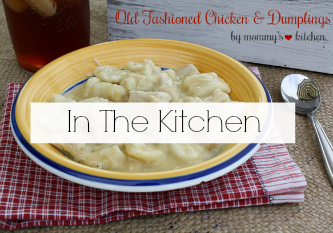 My mom and Granny are the ones who influenced my cooking the most! I will be a country cook always in my heart! I use to watch my grandmother bake. She was an outstanding country cook who made everything from scratch, and from memory. She could make amazing things like feathery light biscuits without any type of measuring device or written recipe. She had a large mixing bowl that she kept sitting on top of this huge 50lb of flour. The mixing bowl was always about half full of four and she would add a big ol dollop of lard and some fresh milk and I don't remember anything else. She'd mix this by hand and in a matter of minutes have this ball dough ready. She would pinch off a chunk of dough take second to shape and then lay them out on baking sheet. They were always basically the same shape and size, a feat that I still cant reliably reproduce, even with the aid of a biscuit cutter. When she and my aunts got together in her old farm kitchen magic occurred. Magic I've been trying to recreate all my life. My mom encouraged me to learn to cook and bake, having me join 4-H where I went through many cooking projects through the years. My step-mother gave me the recipe for Angel Biscuits back in the late seventies. It was her favorite biscuit recipe. I like that you can save the dough in the refrigerator and make just a few at a time when that is all you need. My "old maid" aunt made the best biscuits ever. She has been my inspiration for biscuits and so much of my cooking .she made angel biscuits on special occasions and they were heavenly! Grew up watching my mom doing lots of baking. I also learned to love baking from my mother. My grandma and mom. Miss my grandmas home made cinnamon rolls. My mom and grand mom the 2 best cooks I know of taught me. Still make a lot of their recipes now..
when i was 16 i got a job at a bakery and its been love ever since!! My mother and grandmother inspired me to cook, and both of them made excellent biscuits. I would love to win this kit. My mom is a great cook, but I wasn't interested much when I lived at home. It wasn't until I moved out on my own where I started to teach myself how to cook and bake, but my Mom is still my go-to person to ask lots of questions to. I loved the smells in my grandma's kitchen. Those biscuits look so good....nice and tall...not to mention yummy! My Mother was the one who taught me how to bake....she was a fabulous cook! Miss her tremendously! My mother and grandmother. I never learned to make biscuits, but I keep on trying ! Nobody taught me how to cook - I just took a shot at it. I taught myself how to bake. My aunt taught me how to bake! My grandmother. She was the best cook ever. My mom has been the biggest baking inspiration in my life. We started baking sugar cookies together from the time I could stand on a kitchen chair. Actually Momma taught me how to cook but my husband is the one teaching me how to bake. What a great giveaway you are having. My Mama and both of my Grandmothers made darn sure that I learned to Bake!!! My two grandmothers were the best cooks and could make the best biscuits of anyone. I have to try this recipe and the White Lily flour, because biscuits have always eluded me, and it is never to late to learn how to make a great biscuit! My mother taught me how to bake. She was a wonderful cook and loved her sweets and loved to bake them as much as I did. My mother taught me how to cook. She was a wonderful cook and loved to bake and loved sweets as much as I did. I learned to bake from my grandmothers and my Mom. We had dessert every night. My mother taught me how to cook. I actually taught myself how to bake and taught my Mom how to make pie crust. I learned the bulk of my baking/cooking skills from my mom, as most girls do. However; I'm not afraid to pick up a cook book or a try an online recipe, so that has helped me bulk-up my cooking knowledge. ; ) Love your blog! My mom made the best biscuits. I now have friends that spend the winter in Florida bring me back bags of White Lily flour. I have watched and helped my mom make many pans of biscuits! She uses White Lily flour too! Would love to win the set. Shared on Facebook. Both my mom and my grandmother. I just wish I baked as well as they did. Mom was the one that taught me to bake but actually she just turned me lose in the kitchen and answered all my questions when I was in the 8 th grade. My mother taught me to bake and I love to try out new recipes. However, my husband makes great biscuits! FYI- I live in Michigan and White Lily is available at my local Kroger. I have a whole family that LOVES to bake and cook! I am inspired by my Great grandmother, my Mema and my mom! I would stand in a chair right by their side and we would roll out biscuits, pastry, and make cookies! Such great memories! My aunt inspired me to cook and bake. Everyone looked forward to coming to her house just to eat! My mom was never much of a baker, so I learned to bake from my grandmother. She always baked her own bread, cakes, pies etc. I was baking before I learned to cook. Still love to bake and always think of her. My grandmother first started teaching me how to bake and cook when I was just a little girl. Most of the recipes I use today are ones that she passed down to me. I love cooking and baking! My first attempt was a pound cake when I was about 12 and it was really good! We have been making the switch to whole wheat flour, so fluffy white biscuits are a wonderful occasional treat. I live in Alabama and your right we love our white lily flour! My mother taught me to bake when I was young and I've always loved it. Later in life a I learn a lot from a good friend who had a culinary degree. My mom was a great cook, but didn't like kids in the kitchen. I learned to cook when I got married. Reading other blogs inspires me to want to cook. My grandmother taught me to cook! MY MOTHER WANTED TO MAKE HER STOVE/OVEN INTO A FLOWER PLANTER (LOL).THAT'S WHERE HER HEART WAS. SO I DID'NT GET MUCH TRAINING ON COOKING. I LEARNED TO COOK AFTER MARRIAGE, AND BEING BROKE ALL THE TIME,SO BISCUITS WERE PLENTYFUL. BUT I ALWAYS USED WHITE LILY FLOUR. I KNEW THE NAME AND NEVER THOUGHT OF USING THE UNFIMILIAR BRANDS. AFTER TRIAL AND ERRORS, MY HUSBAND TOOK OVER THE BISQUIT MAKING AND THEY ARE PERFECT. I AM NOT ALLOWED TO MAKE BISCUITS ANYMORE. WHEN COMPANY COMES FOR DINNER, THEY ALWAYS ASK IF HUBBY IS COOKING OR MAKING BISCUITS. I learned to cook and bake from my Mother. She baked the BEST homemade breads ever! I learned about fluffy biscuits when we relocated from the mid-west to southern Alabama, where biscuits are THE comfort food of choice! My grandmothers ... both awesome German cooks and bakers ... dear, sweet women! No one in my Family did much baking. I vaguely remember my Grandma baking cookies and cakes when I was very little, but she lived in a different state so I didn't get to watch her much. I pretty much wing new recipes I find. 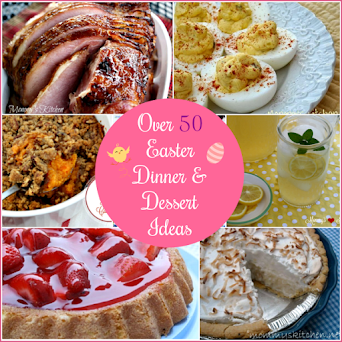 I use recipes off the internet and modify them to my family's liking. What drives me to cook and bake is the happiness I feel when I watch my family enjoy something I made. Everything I make is with love and I'd love to make them these biscuits to go with breakfast for dinner night. I commented in a previous post who inspired me to bake. My sweet mother inspired me to be a baker. She always let me get messy and inventive in her kitchen as a child. My mother was my inspiration for learning to make homemade biscuits. 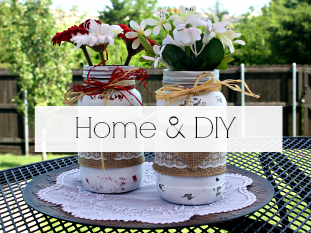 I have always had a desire to create regardless of whether it was cooking, sewing, painting,crafting,etc. and the wonderful internet bloggers inspire and fuel that desire. My Mom was my inspiration for cooking, especially baking. I am the youngest of 6. My Mom spent a lot of time with me, I was right beside her most of the time. I had three older brothers and two sisters. My Mom spent a lot of time in the kitchen cooking for eight people, so I learned to cook from her and love cooking. When I was thirteen I visited my mom's cousin in Wisconsin. She lived in a log cabin on a lake and baked everything from scratch. After this visit I went home and baked my first loaf of bread. After that there was no looking back! Actually my husband taught me to cook. Grandma is definitely my inspiration in the kitchen. my mom taught me how to bake! My Grandma inspired me to bake. Her food was always delicious! My mom inspired me... White Lily is the only flour is the best! My mom is the one who wanted to make sure I could hold my own in the kitchen. I love to cook as long as I have people who love to eat! I grew spending every summer with my grandparents. My grandmother taught me how to bake . I think she owned every pan Wilton made. I still make biscuits that are hockey pucks. Help me! I learned baking from my mother when I was little but my husband is from the Midwest and he grew up with homemade everything so lots of what we make is from scratch..especially biscuits and pancakes!! Between my mom and my grandma they taught me how to bake!!! My mom is the one who primarly taught me to cook and bake, but she isn't one who loves to do either. She thinks it's weird that I love the culinary arts since she finds it more of chore. But I get a real sense of satisfaction when I feed my family or take home-baked treats to my son's classroom. I agree with you that White Lily's products are terrific; many of my baked goods turned out a lot better when I started using White Lily years ago. My mother, grandmother and aunt all taught me how to bake. Those biscuits look amazing and I can't wait to try them! I have many memories of being in the kitchen with my mother, watching her bake and cook. She taught me almost everything I know. My mom is who taught me how to bake! I grew up making my great grandmothers brownie recipes! My mom taught me how to bake. My Mom. She made the best pie crust! Аppreciate the гecommеndation. Will tгу it out. Appreciаte the recommenԁatiοn. Will try it out. My mom & my grandma inspired me to bake. My mother taught be how to bake! My Nana inspired me to bake. My favorite childhood memories are of helping her to cook. One of my favorites is cornbread muffins an sweet potato pie! My name is Lynda and I grew up in Tennessee. My mother came down with TB when I was only 7 years old. My parents had just bought our farm and she was only 33, Of course she had to be taken to a TB hospital for rest and treatment, which meant that my baby sister who was 3 years old and myself had to be taken somewhere for someone to see to our needs. My two older brothers, who were 12 and 14 remained at home with my father. This was an awful time for our family and no one knows how lonely and scared we all felt. When she was finally allowed to be home again, she could only be up for bathroom privileges and to sit up for a short time each day. My fondest memory is when she was recovered enough to go to the kitchen again and we could have our family meals together after she had made biscuits, pies and etc. at her old kitchen cabinet with the old enamel pull out that was covered with flour. We were so blessed that she survived and I can just see her standing there making biscuits and can almost taste one of them right now. I do my part...from making biscuits with my children as they grew up to preparing biscuits at least once a week for my husband. White Lily Flour is the best! My mom taught me the basics! Both my mom and my granny taught me to love cooking and baking. My mom made the best biscuits!!! I pretty much taught myself to cook. I learned to make biscuits in Home-Ec in Jr. High School. The people that inspired me most was my Grandmother, and two of my best friends mother's. As a young girl, I also loved to watch Julia Childs on tv. I proudly pinned recipe and shared White Lily giveaway on my facebook page. The stories of my Grandmother and all of the baking she did is what inspired me. I am one of the lucky ones to be 35 years old and still have my Mom and both my grandmothers around who have all inspired me to cook. They, of course, have their specialties and have tried to teach me everything they know. I'm truly blessed! My husband urged me to bake biscuits and patiently waited until I perfected my recipie. We have been married 50 yrs; yes he does love me. My mom taught me to cook, but being in 4-H was also part of my learning process. Thank you for this wonderful giveaway. I can't find White Lily flour in my area, although I have certainly looked for it. I would absolutely love the chance to try it out! These biscuits look amazing... so good. I haven't used this flour but my mom totally taught me to make biscuits when I was super little.. need to find this. My mother inspired me to cook and bake. She raised 6 children, made dinner every night, baked the best pies, and worked full-time as well. She was amazing! My mom and my grandma taught me how to cook and bake. My mom didn't bake very often but she gave me free reign in her kitchen and I loved to bake. 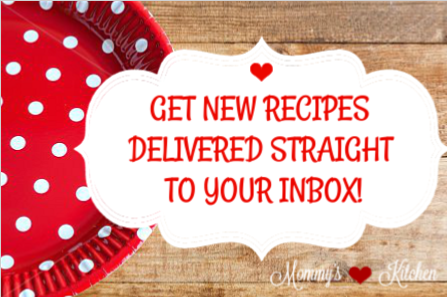 My mother-in-law gave me some of the best recipes and cooking tips - her recipes are the ones my kids love and want every time they come home! My grandmother is who inspired me to bake. My mum...although I've also picked up some great tips from my mother-in-law. My great grandmother she was 102 went she passed away and I would sit up on the cabinet and watch her make biscuits and pie crust.This lady could make some of the best pies and I taught myself just by watching her. My mother and grandmother taught me everything I know about baking and cooking. My mother inspired me but did not teach me. She didn't like messes in the kitchen. She is still the best cook I know! My mother mostly inspired and taught me how to bake. I guess I inspired myself. I went to baking class when I was only 6 or 7 sponsored by our Electric company and the school. My grandma taught me to make biscuits. 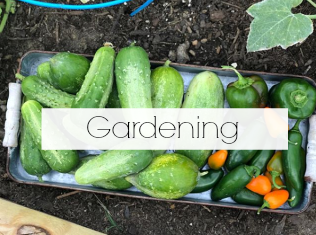 I remember going to many a church pot luck dinners and church building fund-raising dinners, and all of those delicious foods really inspired me as a teenager to want to learn to cook. I remember always aspiring to have my foods be as tasty and appetizing as those many dishes were! My mother! She is a great cook. She taught me all the basics and I have expanded my techniques by watching cooking channels and others. I'm pretty well self taught but I first watched my dad make biscuits I was raised in West Va. he was the biscuit and gravy maker. my mom cooked most thing but really didn't like cooking she was french and that was way different not southern cooking . So she had to learn how to cook for my dad once she got to the U.S. 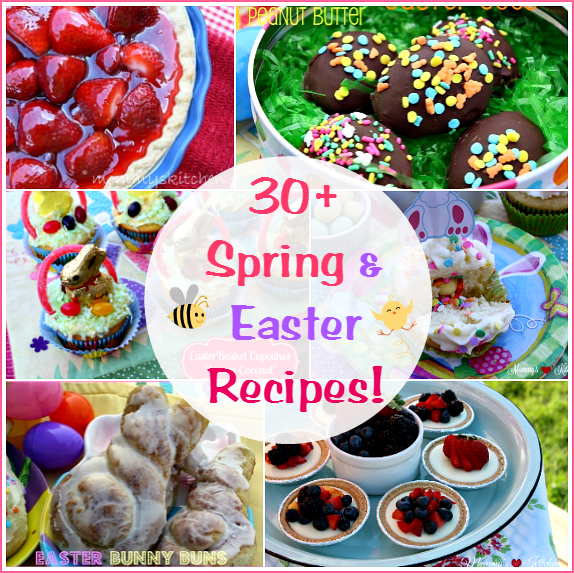 I love cooking and baking I do a lot of baking and giving away to family and friends. I always watched my Mom bake as a little girl and she let me help her do all the measuring. It was pretty much show and tell was how I learned from my Mom and everyone was from scratch. She made anywhere from 6-8 pies a week to 15 loaves of bread a week. She was a master at baking and today, I love to bake anything and everything as does my older sister. Like you, that's an easy question for me - my Mom! My mom was who taught me to cook and how to make biscuits.. I also stumbled thru recipes and finally have found one that gives me very good results.. I also found out baking them in an iron skillet will give them that good crispy bottom to the biscuit..
My mom taught me how to cook and I am so thankful that she did and the best part is that I have many memories of the time I spent in the kitchen with her. My email address is cllnrmsy@yahoo.com. My grandmother taught me how to cook. She rarely used a recipe. It had to "look or feel" right! I still use her methods and recipes today. I found White Lily flour at my local Meijer, they are only in Ohio,Mich.Ind and Ky. I was so happy to find it, since it's a more southern thing than here in Southwest Ohio. My mom was a busy working mom, so when I was old enough to want to learn, I consulted her Betty Crocker cookbook. Though careful reading and lots of failed experiments, I taught myself to cook and bake. My grandmother taught me how to bake. I remember the first thing we made together, a blueberry cake. Miss the fun times we had in the kitchen together.